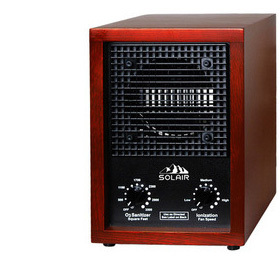 Solair 3500 Pro Air Purifier attacks any organic, chemical, or bacteria odors at the root of the problem, leaving the entire room or home smelling fresh and clean like right after a fresh Spring rain! 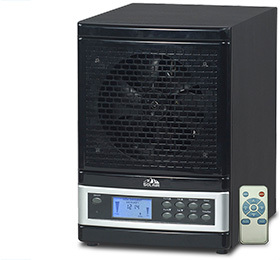 This unit is especially effective in controlling mold and mildew that appears in the warmer months and helps eliminate the respiratory irritants that normally affects us during those worrisome allergy seasons. With 20 plus years of experience in the air purification field, we are commited to asnwer any questions in regards to your air purifier or healthy indoor breathing all together. Please contact us and we will be glad to help you. 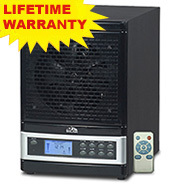 For the lifetime of the original purchase Air Purifier Repair will replace any defective part at no charge! Air Purifier Repair will perform full diagnostic, testing and cleaning of the unit before sending it back to the customer free of charge. Labor charges will apply. 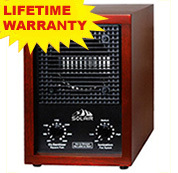 For up to the first 90 days from date of purchase Air Purifier Repair will pay for shipping both ways and replace or repair the product without charge to the customer and should the unit prove to have a manufacturing defect. 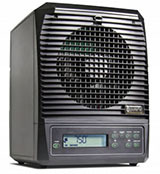 Simply contact Air Purifier Repair for an authorization and UPS will schedule a pickup at no charge.